Several years ago, when I first became interested in minimalist and began making changes to my life, I learned about the tiny house movement. I’ve been interested in tiny houses ever since but, until a few weeks ago, I’d never lived in one. 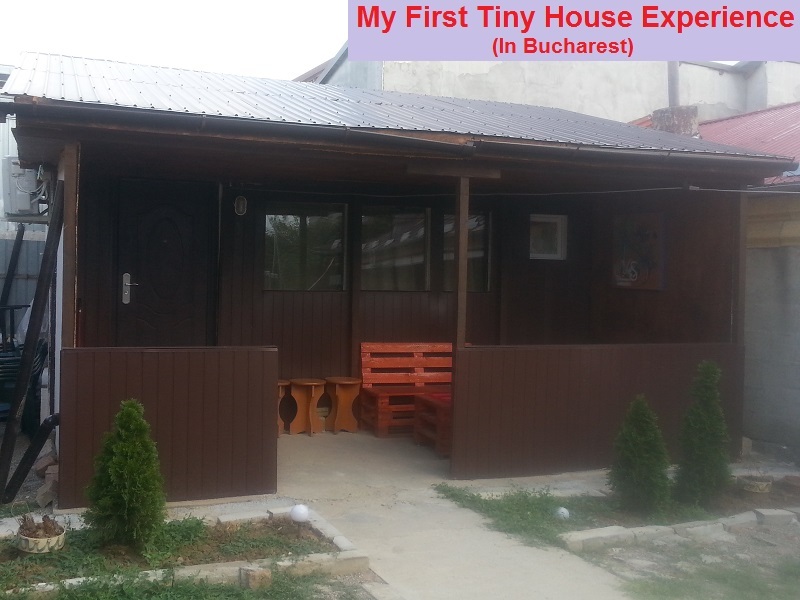 All that changed when I went to Bucharest and had my first tiny house experience. The guy I was renting it from didn’t have it advertised as a tiny house and when I spoke to him about it I got the impression he knew nothing about the tiny house movement. Of course, I explained it to him and he was very happy when I told him what a fantastic job his grandparents had done when they built their “tiny house”. For all I know, my first tiny house experience may also be my last. 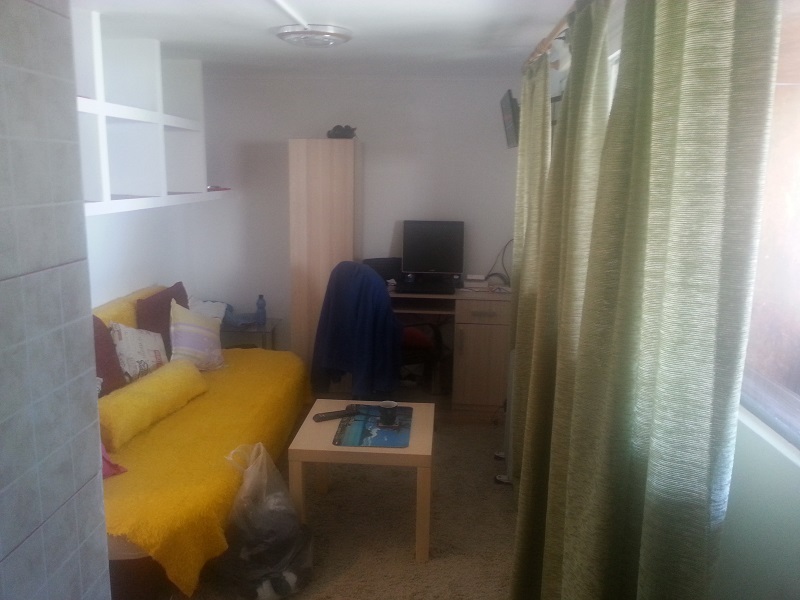 I’ve never had the opportunity to live in this kind of accommodation before and I don’t know if I will get the chance again. If I do and the price is right, I will jump at the chance of a second tiny house experience and, if I ever return to Bucharest, I will try to rent the same home. I’m aware some people reading this blog post won’t be aware what a tiny house is or have any idea there is a tiny house movement, so I think before I go any further it may be best if I provide a little bit of tiny house information. “Tiny house movement” is the name used to refer to a growing social movement towards living in very small compact homes. Due to the way they are designed tiny houses are also usually very energy efficient. They are cheap to build and maintain and living in one is a good way to avoid large utility bills. Some experts on tiny house living claim the tiny house movement started during the property crisis at the turn of the century. Others claim the movement towards this simpler way of living began during the 1980s, while still others point out the fact that man’s ancestors lived in caves. That’s a very valid point. In fact, there are still areas of the world where people live in tents or mud huts, and the self-made homes in shanty towns are invariably quite small. So, when you think about it, living in tiny houses is nothing new. However, when people speak of the tiny house movement they are generally referring to a more modern trend where people forsake their larger homes in favour of the more compact dwellings that are known as tiny houses. When it comes to defining what is and is not a tiny house, there are no hard and fast rules. However, a dwelling that is 500 square feet (46 m2) or less is generally considered a tiny home. Many tiny houses are built on trailers. This allows their owners the freedom to tow them behind their vehicles and relocate their home, should they wish to do so. I suppose you could call it a different kind of tiny house movement. However, not all tiny houses are mobile. There are also plenty that are built from the ground up and intended to remain on their original plot. It’s also important to be aware that tiny living does not have to mean living in a very basic way. The average tiny house has all the mod cons including internet and maybe even cable TV. Many tiny houses are also deigned to allow their owners to live off-the-grid and be totally self-sufficient. Some have composting toilets and solar panels and/or wind turbines to generate electricity. There’s also often a lot of creativity involved when it comes to tiny house construction. If you want to take a look at a variety of tiny house designs, there’s an interesting article on the Insider website. It’s about 35 incredible tiny homes from around the world. Strangely enough, I was so busy enjoying my first tiny house experience I never thought to take a note of the dimensions. It was small, cosy, and had everything I needed. That was enough for me. The guy I rented the house from told me his grandparents built it themselves and I don’t think it was the only house on the street that had been self-made in this way. The house was situated on quite a large plot of land, set a good way back from the road, and hidden behind a large metal fence. It was nice and private and I could keep the gate locked to provide extra security. Everything was on one level. 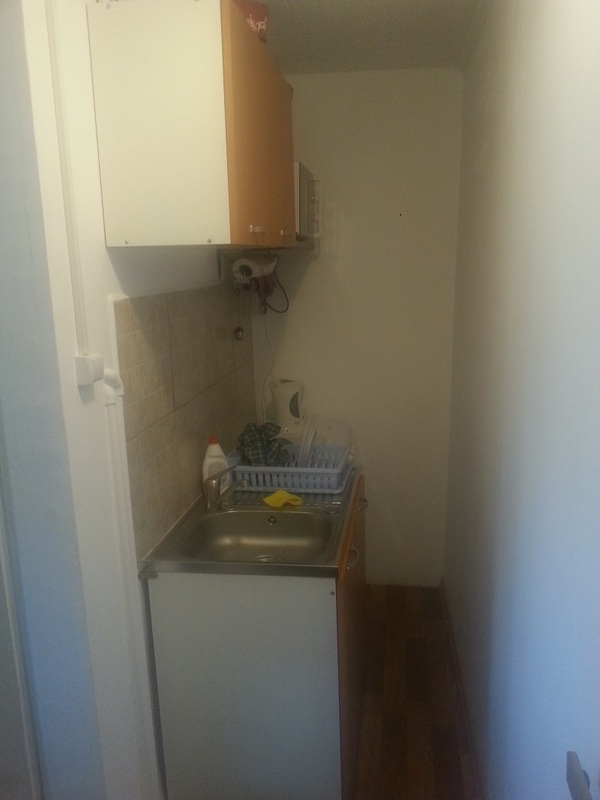 There was a toilet, a living room with a sofa bed, and a small kitchen. The kitchen had a microwave, a small oven, and a stove. So doing some home cooking was not a problem. 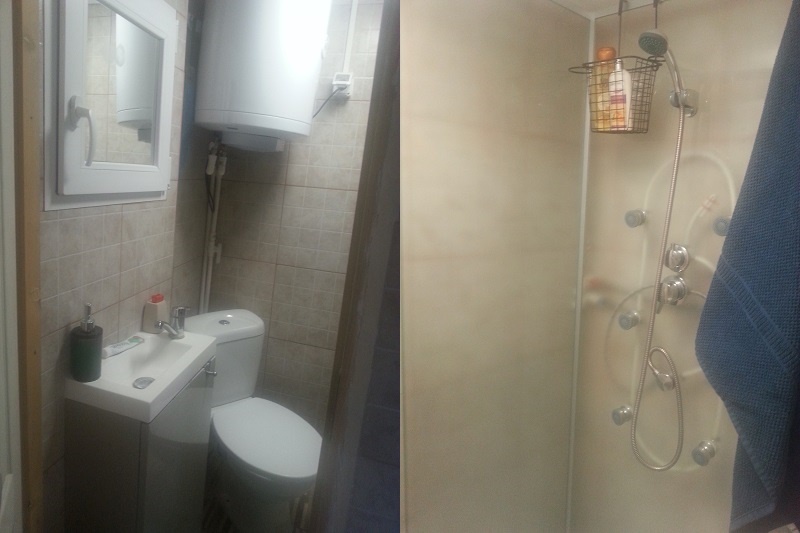 The small room that housed the toilet also contained a shower and a small hand basin. Again, as far as the necessities went, I had all everything I needed. I’ll be honest and admit I never converted the sofa to a bed. I was sleeping alone and the sofa was large enough to provide a decent night’s slumber as it was. Why make myself extra work? Apart from a place to sit and chill or stretch out and sleep, the living room also had a nice desk to work from. There was even a desktop computer for me to use, but I prefer to work from my own laptop, so that’s what I did. There was also a television I could use in my quieter moments, if I chose to do so. I should also point out the internet connection was very good indeed. 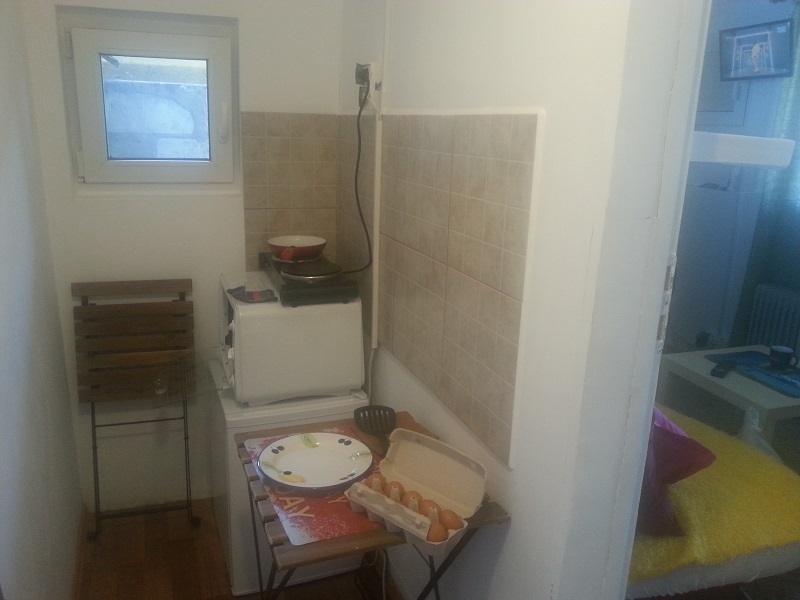 I felt very at home in the tiny house I rented in Bucharest. It was nice to have a space that was totally my own, even if it was only for a few weeks. The rooms were so small and the ceiling so low, it warmed up fast when I needed to use the heating. It also cooled down quickly when I switched on the air-conditioning unit. It’s a tiny house experience I will never forget, but all good things come to an end. I’m a travelling man. Moving on is what I do. If I’d been one for staying put I’d probably still be stuck in England and may have spent my whole life without ever getting any tiny house experience at all. Next Article Next Article: My Website is Blocked in Ukraine!